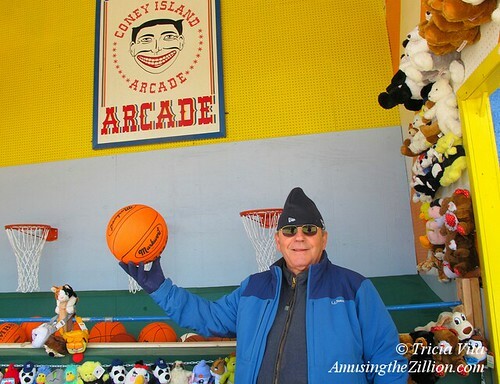 After Hurricane Sandy, Coney Island got lucky when a rare vintage 1940’s Mangels shooting gallery from Deno’s Wonder Wheel Park was brought out of storage, restored, and installed at Coney Island USA’s Surf Avenue storefront. As far as we know, it’s the only one of its kind in operation that is open to the public. 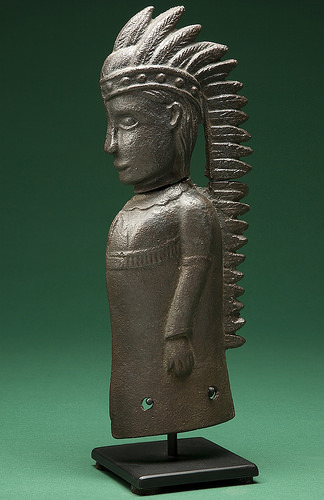 Since many shooting galleries were sold for scrap iron during World Wars I and II, you’re more likely to come across cast-iron and sheet-metal targets in the shape of birds and beasts, cowboys and Indians, and soldiers and torpedo boats in folk art collections than as a game in an amusement park. Richard and Valerie Tucker’s passion for collecting figural cast iron began in the`early 1980s with the acquisition of a row of doves from a William F. Mangels’ gallery manufactured in Coney Island. Thirty years later, they own hundreds of shooting gallery targets from a variety of manufacturers. Step Right Up! 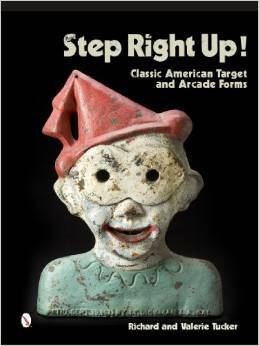 Classic American Target and Arcade Forms is a sumptuous coffee table art book with more than 225 color images of American and European targets along with a sampling of carnival banners, signs and game pieces. As the first and only book on the subject, the volume is valuable to collectors and of special interest to fans of carnival art and antiques. In addition to Mangels, the 144-page book has chapters on C.W. Parker of Kansas, William Wurfflein of Philadelphia, the John T. Dickman Company of Los Angeles and Chicago manufacturers Evans, Hoffmann, Mueller, and Smith, as well as miscellaneous targets and a few European targets. Essays by specialists on the manufacturers supplement illustrations from the Tuckers’ archive of catalogs, trade cards and other ephemera which are a great resource since the majority of targets have no trade marks. One of our favorite target makers is C.W. 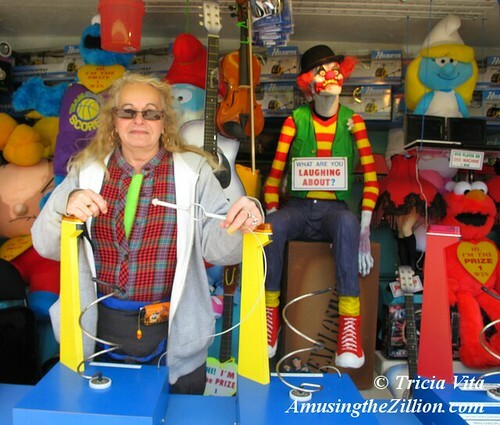 Parker, who started out as a shooting gallery operator and soon got into the business of supplying traveling carnivals with a wide variety of attractions. 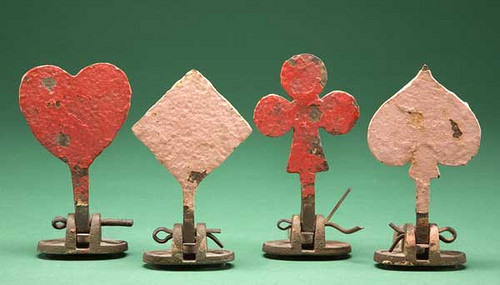 Parker had a showman’s flair for borrowing design ideas from his fellow manufacturers and fashioning them into commercially successful shooting galleries and carousels. A lecture and book signing by the authors will be held at the American Folk Art Museum, 2 Lincoln Square, Columbus Ave at 66th St, in Manhattan, on December 18 at 6pm. Admission is free of charge. 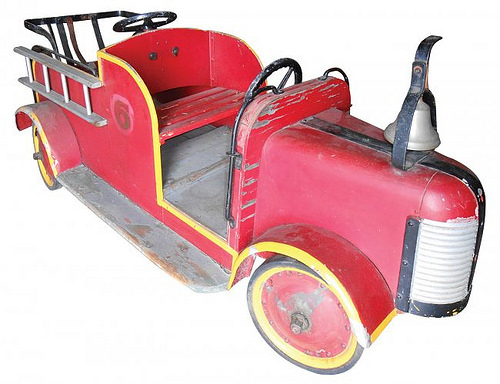 Among the items being offered on Saturday at online auctions are a circa 1940s Pinto Brothers Fire Truck from a kiddie ride manufactured in Coney Island and an array of vintage arcade machines and carnival games. 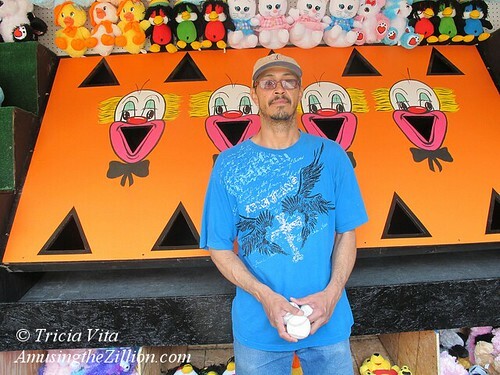 The Pinto Brothers were kiddie ride manufacturers in the 1940s and ’50s and like their better known contemporary William F Mangels, who also manufactured a popular fire engine ride, the Pinto family had a factory on West 8th Street. 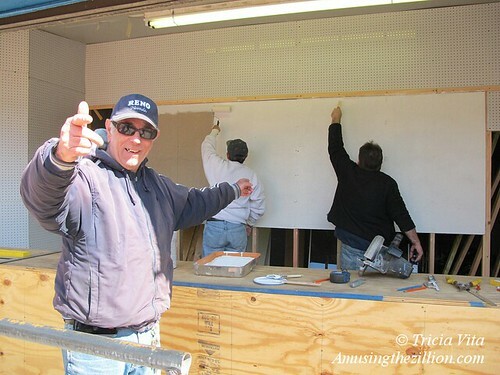 After the widening of the street for the New York Aquarium construction swallowed up their shop, they continued to manufacture ride parts for customers and operate rides including the Cyclone roller coaster. 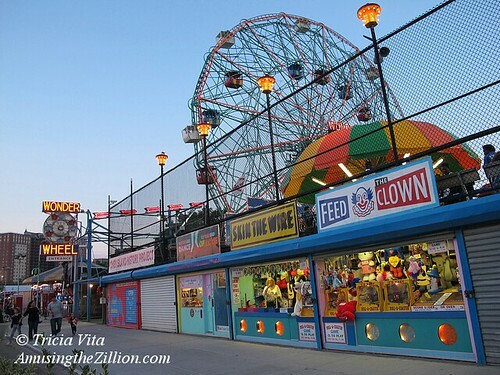 For more info on the Pinto Brothers, see “Rare & Vintage: Pinto Bros. Pony Cart from Coney Island,” ATZ, May 18, 2012. 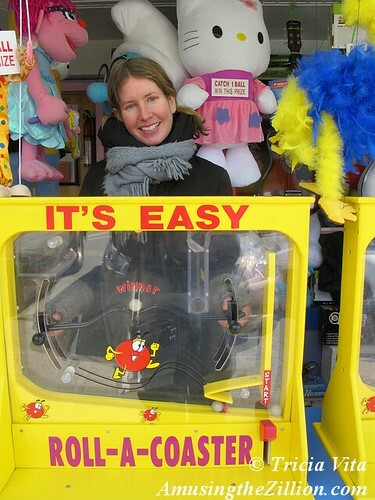 “Fly to Tokyo, Rome, Paris, London, India, Egypt, Hawaii, N. Pole, Berlin, New York – Colors Win Small Prizes.” This very tall airplane-themed carnival midway game caught our eye in the auction catalogue for Victorian Casino Antiques May 3rd sale. Made by St. Louis Carnival Supply, the game features a hand-painted wooden backboard and a metal plane and track. It calls to mind the Bumper Car Game, which my father worked with a roller skate that was pushed by players. Dad said it was designed as an alternative to gambling wheels after wheels were prevented from operating in many places. 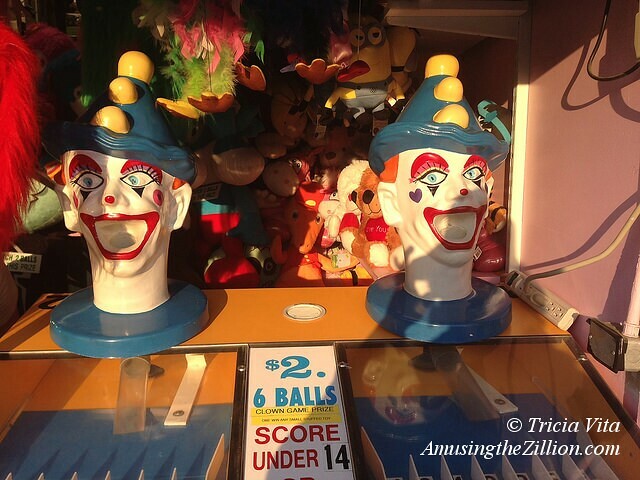 These two clowns are neighbors of Miss Coney Island, the dancing mannequin, on West 12th Street in Coney Island. Score Under 14 or Over 29 to Win a Big Prize! The photo of the vintage Duck Pond and canvas-and-stick joint transported me all the way back to the New England midways of my childhood. 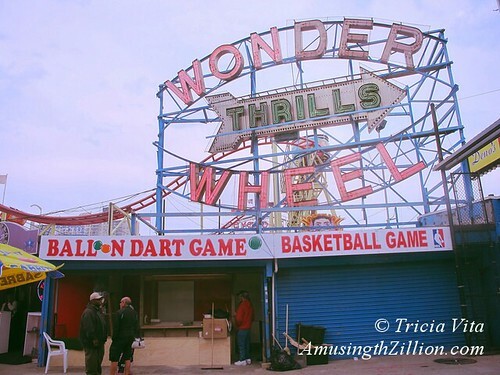 In the 1950s and early 1960s, my parents operated games with traveling carnivals and at fairs—Pitch Till U Win, Balloon Dart, Cover the Red, Slot Roll Down–you name it, we worked it. In those days we still had home-made wooden joints instead of custom-built concession trailers. I can almost feel the heft of the lumber. As a little girl my first job was to carry the little wooden braces from Dad’s big red truck to the location where the joint was being set up. Each stick of lumber had to be laid out on the ground in a preordained manner. As Dad and our roughie hammered together the hinged pieces, I handed out the nails and sometimes got to drop one in. The canvas ballycloth in particular evokes tactile memories of helping set up the joint because snapping the ballycloth onto the front of the counter was the very last part of the job. Although the price is indeed on the high side—$2,900 or best offer, I find it laudable that the seller is trying to preserve a piece of Vermont fair history. It’s sad when artifacts such as old carousels and old photo albums get broken up and sold piecemeal to collectors. When that happens, the items lose their historical context and become curiosities set adrift in the world. We’re pretty sure the kids who played Old Doc’s Game at the state fair will miss this gaggle of ducks. In 2009. ATZ wrote about this eBay auction of a complete cat rack as well as a duck pond, stick joints and all, which belonged to an old-timer whose father had been in the business forever. 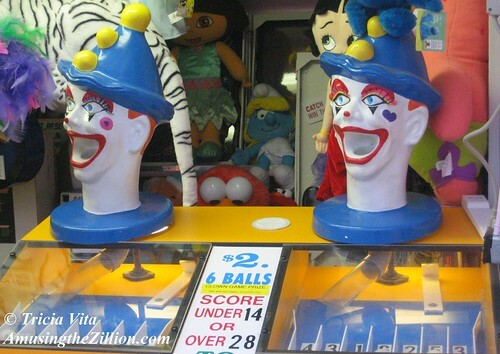 The seller tried to preserve these pieces of Vermont fair history and offered the games in their entirety for many months on eBay, but no buyers came forward. The dolls were (and some of them still are) being sold separately for $150-$175 and the antique stick joint is now available for a mere $249! 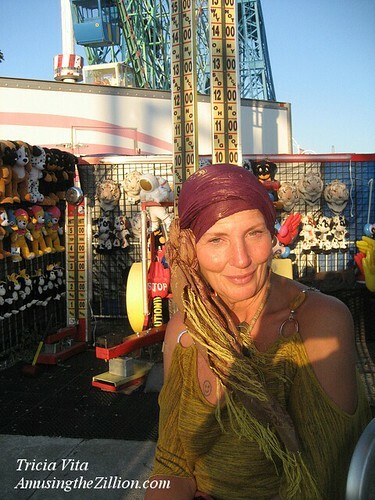 November 3, 2009: Coney Island’s Shoot Out the Star Still Open… Players Wanted!